Our hiring and staffing agency in Hartford County CT. Our hiring and staffing agency is is committed to quality employee leasing. At TempsNow! we provide hiring solutions for companies large and small in the Hartford CT area in order to fit all of their employee leasing needs. TempsNow! has been focused on temp staffing solutions for companies looking to hire temporary qualifed workers since 1998. We are committed to exceeding your expectations by providing you with Connecticut's best temporary, part-time and full-time workers on a daily basis. TempsNow! can fill any temporary, part-time or full-time absentee needs at 5:30 AM Mon-Fri.
Our Team prides itself on providing our employees and employers with customer service that in unrivaled in our industry. We take the time to listen to your temp hiring needs and we always follow through with quality local temporary workers. Every day provides TempsNow! provides companies like yours with temporary, part-time and full-time qualified workers in a consistent and timely fashion on a daily basis. Whether you need one worker or a hundred our commitment to quality never wavers. We have a vigorous interview process to ensure that we can guarantee quality employee leasing no matter what the needs of your company are. Our Workers come ready to work. We have workers with a wide variety of skill sets including warehouse, construction, housekeeping, landscaping, hospitably, delivery, cooking, printing and more. Every week we see hundreds of new workers ready for hiring for part time, full time, temporary, and seasonal employment. Fill out our form to get access to our hiring and staffing service ASAP! Why Should I Choose TempsNow! as my Hiring and Staffing Agency? As one of the biggest and most successful hiring and staffing agencies in the Hartford County CT area you can rest easy knowing that we will be providing you with the most qualified workers in the Hartford County Connecticut area. We have an intense screening and interviewing process that allows us know exactly what workers are right for your company. Most of our employees return to TempsNow! for further employment, this gives us an opportunity to truly know our clients making it easy for your company to have qualified workers on the job, on time, all the time. At TempsNow! 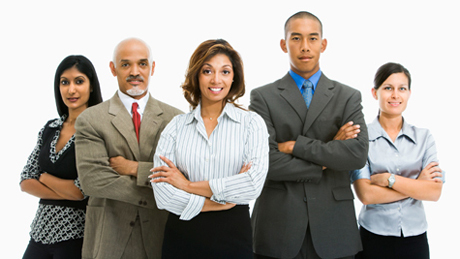 we always have the hiring and staffing solutions for your specific needs. At TempsNow! we have a strong focus on quality insurance as part of our staffing and hiring service. That is why we provide an intense pre-screening and interviewing process to ensure that when we send you a worker that you are getting the right employee for your specific needs. Also many of our temporary workers have had multiple part time jobs through TempsNow! in Hartford County CT. This is not only a testament to our expert job placement, it also gives us an opportunity to truly know the skills and personalities of our workers. With thousands of qualified resumes coming in every month we will always have the right temporary worker for your hiring or staffing scenario. Part of what makes our hiring and staffing service so special is that all employees we furnish are on our payroll! That's right, one low hourly rate takes care of our employees' pay, payroll taxes, and workers' compensation insurance! Let our agency handle the details for you so you can focus on getting the job done! Whether you need 1 or 100 workers, for a day or for an entire year, the quality always remains consistent. Every worker delivered has been pre-qualified. We are available to start filling your absentee needs at 5:30 AM Mon - Fri .
We provide staffing and hiring services for the entire Hartford County Connecticut area and beyond. Though our workers go through intense pre-screening processes there are no absolutes in life, that is why we commit to respond to 'no-shows' workers within the hour to ensure you never go a day without a full work staff. Whatever your hiring and staffing needs TempsNow! is the agency with the solutions for you! We provide hiring and staffing solutions for the entire Hartford County Connecticut area. So when you need qualified workers ASAP depend on TempsNow!. Apply today about Part Time, Seasonal, and Temporary workers and fill your staff today!